As you can easily find, the USB has become a standard and the most popular PC expansion interface. USB devices can be seen in all walks of life; even the game console, SD card, and mouse, keyboard & other hardware components of the computer can be connected through the USB interface. Sometimes, when you plug a USB drive into your computer, it cannot be accessed and will show you USB device malfunctioned error with “The last USB device you connected to this computer malfunctioned, and Windows does not recognize it.” message. Today, I’ll created quick fixed to help you get the problem resolved and make your device recognized. Whenever you encountered a similar issue of the unknown USB device , you should recover data from the unknown USB device at first. When the data recovery has been finished, you can try every possible means to fix the problem. 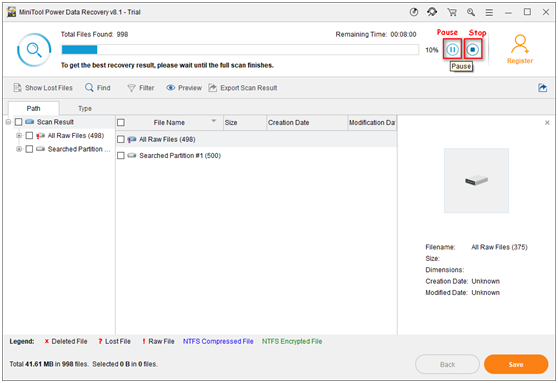 Our advice is to recover data using data recovery software for MiniTool power data recovery and then format the disk for reuse. Warning: Please stop using your USB flash drive once you lose files on it, in case newly produced data overwrite entries to the lost files. Step one: Connect USB to your PC and run USB data recovery software. 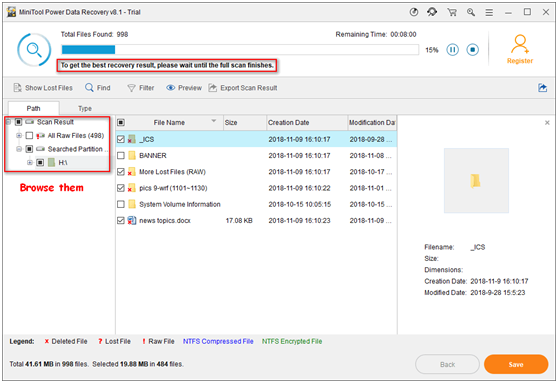 Connect the USB flash drive on which your files to your computer and launch MiniTool power data recovery software on your PC. Select your USB drive under External Devices and click Scan to start finding your lost files. shift to the Removable Disk Drive option from This PC. Then, take a look at the right panel to see whether your USB device appears here. Step two: wait for the scan. Then, browse all the files and folders found & listed by the software to figure out whether they contain the lost data you need. You can choose to Pause the scan when you have to leave for a while and don’t want the scan to continue. You may as well click on the Stop button to cancel further scans completely when you have found all the files you need in the current scan result. Step three: click on the Save button located in the lower right corner of the software interface. Then, choose a storage path for the selected files and click on the OK .
Press Win+R, type Control Panel and hit Enter. Inside Control Panel in the search box type troubleshooter and select Troubleshooting. After that select Configure a device under Hardware and Sound and follow on-screen instruction. Click on Apply this fix if any problem is found. If the unknown USB device error is triggered by hardware issues, it will no longer appear after you try the above steps. If not, you need to move on to the next method to find a fix. Open Device Manager (Right Click on Windows Logo and Click Device Manager). Now find and expand Universal Serial Bus controllers. Now right click on USB drivers and click Uninstall. Do for all USB drivers one by one. Restart your PC then Windows will reinstall the device automatically. 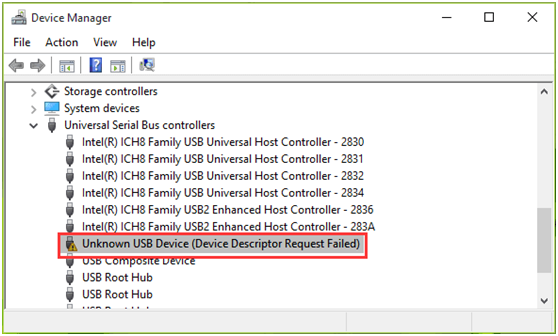 Did it solve the USB device (device descriptor request failed) error? If not, try the next fix. Click on Power Options and select Choose what the power buttons do in the left pane. Click on Change settings that are currently unavailable. Under Shutdown settings, uncheck the box next to Turn on fast startup (recommended). Then click on the Save changes button. Restart your PC and see if the unknown USB device problem has been resolved in Windows. if it doesn’t work, try to perform a system restore to get rid of this issue. Now find and open the Recovery option. Select System Restore, follow the on-screen guide and wait until all the recovery points are shown. Restore your PC from the right recovery point. 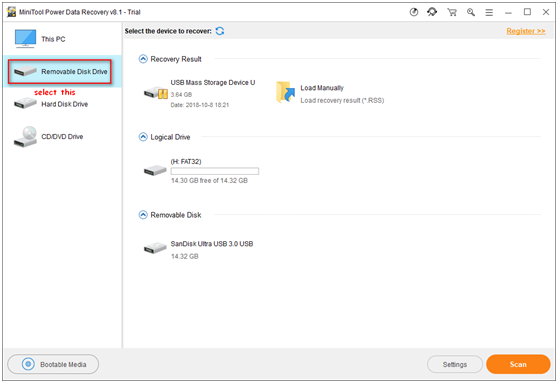 It really doesn’t matter whether you use a USB hard drive or a USB flash drive; in both cases, you’re likely to come across the Unknown USB Device (Device Descriptor Request Failed) error. On this occasion, what really matters is how you respond to the problem. Recovering data from that unknown USB device at first , and then, try to repair the error as fast as you can. PREVIOUS POST Previous post: How to Export OST to PDF Adobe Including Attachments?